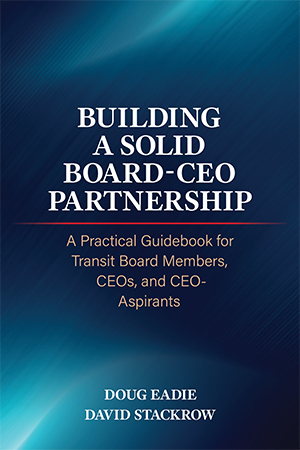 According to APTA Chair Nat Ford and CEO Paul Skoutelas in the podcast featured in the March 14 post at this blog (https://boardsavvytransitceo.com/aptas-dynamic-leadership-duo-takes-mobility-management-issue/), local transportation authorities must make a stark choice in this time of dramatic, continuous change, in terms not only of communication and transportation technologies, but also of changing customer needs and preferences. They can be aggressively opportunistic: embracing and capitalizing on the opportunities that a tumultuous environment offers by playing the preeminent leadership role in their communities in partnership and network building that brings together various transportation modes (ride sourcing; car sharing; bike sharing; train and bus service; etc.) in a coordinated system. Or they can go on the defensive– definitely not what Nat and Paul recommend! – guarding their turf from competitors and attempting to preserve their business-as-usual strategies. Nat and Paul are talking about a topic that looms large these days in the nonprofit/public sector: updating your organization’s “business model.” Next week’s post at this blog will feature a second podcast having to do with business model updating: Brad Miller, CEO of the Pinellas Suncoast Transit Authority, describing PSTA’s recent significant innovations on the mobility management front. Since it appears that business model updating is almost certain to become a major ongoing theme of www.boardsavvytransitceo.com, I think our readers will find it useful to consider how the term has been defined. 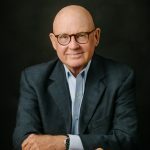 Although you hear the term “business model” a lot these days, it’s actually a relative newcomer to the for-profit and nonprofit management lexicon, and a quick look at the literature will tell you that there’s no precise, universally accepted definition of what “business model” means. As Andrea Ovans observes in her January 23, 2015 Harvard Business Review article, “What Is a Business Model?”, “it’s one of those things many people feel they can recognize when they see it (especially a particularly clever or terrible one) but can’t quite define.” In my work, I like to think of a for-profit or nonprofit organization’s “business model” as a description of the fundamental nature of the organization – aimed at the organization’s not only surviving, but also thriving and growing. The model must be periodically updated to respond to environmental growth opportunities and challenges (such as emerging new needs and changes in funding patterns) if the organization is to continue to thrive. Chandler’s research indicated that these two key elements of the business model must be synchronized if successful growth is to occur. In a nutshell, successful organizations must adopt new strategies to capitalize on opportunities to grow, and in order to successfully implement those growth strategies must put new (or tweaked) structure in place. Put these two elements together and what have you got? A business model. Sad to say, of course, in the case of Sears and GM, the failure to update their business models in the latter half of the Twentieth Century has led to the dramatic decline of these former industrial icons. Enough history! I’d like to close with the observation that one of the preeminent jobs of the public transportation CEO in today’s world is to recognize the need to update her authority’s business model, and to work closely with her board in accomplishing the update – whether it pertains to new services, new customers, clients, or new management structure and process – or all three.